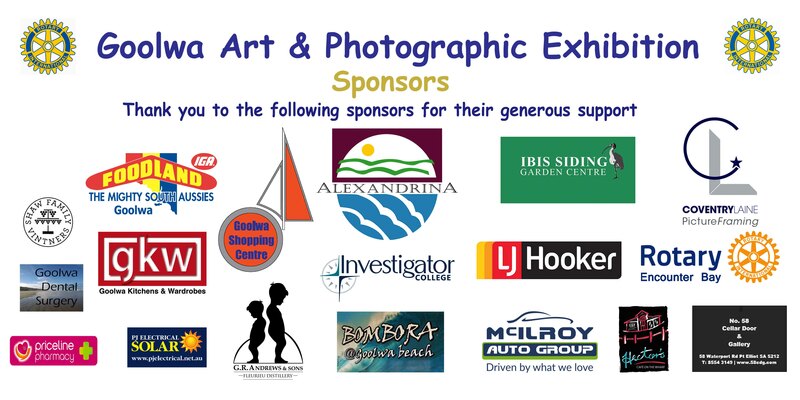 combined Art & Photographic events in regional SA. both exhibitors and the viewing public. Opening to the Public has been extended from 9 days to 14 days. "Work was beutifully presented at a fantastic venue. It looked very professional. Well done." "Very well organised and run"
"The atmosphere was good and the quality of work was great"
We have reached the maximum entries that we anticipate can be hung in Signal Point Gallery. To avoid disappointment we unfortunately had to close early. to use this easy entry process which also provides immediate confirmation.